Karajan was born in Salzburg, Austria-Hungary, as Heribert Ritter von Karajan. He was a child prodigy at the piano. From 1916 to 1926, he studied at the Mozarteum in Salzburg with Franz Ledwenke, theory with Franz Zauer, and composition with Bernhard Paumgartner. He was encouraged to concentrate on conducting by Paumgartner, who detected his exceptional promise in that regard. In 1926 Karajan graduated from the conservatory and continued his studies at the Vienna Academy, studying piano with Josef Hofmann (a teacher with the same name as the pianist) and conducting with Alexander Wunderer and Franz Schalk. In 1929, he conducted Salome at the Festspielhaus in Salzburg and from 1929 to 1934 Karajan served as Kapellmeister at the Stadttheater in Ulm. His senior colleague in Ulm was Otto Schulmann. After Schulmann was forced to leave Germany in 1933, Karajan became first Kapellmeister. In 1933 Karajan made his conducting debut at the Salzburg Festival with the Walpurgisnacht Scene in Max Reinhardt's production of Faust. It was also in 1933 that von Karajan became a member of the Nazi party, a fact for which he would later be criticised. In Salzburg in 1934, Karajan led the Vienna Philharmonic for the first time, and from 1934 to 1941, he was engaged to conduct operatic and symphony-orchestra concerts at the Theater Aachen. Karajan's career was given a significant boost in 1935 when he was appointed Germany's youngest Generalmusikdirektor and performed as a guest conductor in Bucharest, Brussels, Stockholm, Amsterdam and Paris. In 1938 Karajan made his debut with the Berlin Philharmonic and the Berlin State Opera, conducting Fidelio. He then enjoyed a major success at the State Opera with Tristan und Isolde. His performance was hailed by a Berlin critic as Das Wunder Karajan (the Karajan miracle). The critic asserted that Karajan's "success with [Richard] Wagner's demanding work Tristan und Isolde sets himself alongside [Wilhelm] Furtwängler and Victor de Sabata, the greatest opera conductors in Germany at the present time". Receiving a contract with Deutsche Grammophon that same year, Karajan made the first of numerous recordings, conducting the Staatskapelle Berlin in the overture to The Magic Flute. On 26 July 1938, he married operetta singer Elmy Holgerloef. They divorced in 1942. On 22 October 1942, at the height of the Second World War, Karajan married Anna Maria "Anita" Sauest, born Gütermann. She was the daughter of a well-known manufacturer of yarn for sewing machines. Having had a Jewish grandfather, she was considered a Vierteljüdin (one-quarter Jewish woman). By 1944, Karajan was, according to his own account, losing favour with the Nazi leadership, but he still conducted concerts in wartime Berlin on 18 February 1945. A short time later, in the closing stages of the war, he and Anita fled Germany for Milan, relocating with the assistance of Victor de Sabata. Karajan and Anita divorced in 1958. Karajan was discharged by the Austrian denazification examining board on 18 March 1946, and resumed his conducting career shortly thereafter. Therefore, years later former German Chancellor Helmut Schmidt could say about Karajan's Nazi party membership card: "Karajan was obviously not a Nazi. He was a Mitläufer." In 1946, Karajan gave his first post-war concert in Vienna with the Vienna Philharmonic, but he was banned from further conducting activities by the Soviet occupation authorities because of his Nazi party membership. That summer he participated anonymously in the Salzburg Festival. On 28 October 1947, Karajan gave his first public concert following the lifting of the conducting ban. With the Vienna Philharmonic and the Gesellschaft der Musikfreunde, he performed Johannes Brahms' A German Requiem for a gramophone production in Vienna. In 1949, Karajan became artistic director of the Gesellschaft der Musikfreunde, Vienna. He also conducted at La Scala in Milan. His most prominent activity at this time was recording with the newly formed Philharmonia Orchestra in London, helping to build them into one of the world's finest. Starting from this year, Karajan began his lifelong attendance at the Lucerne Festival. In 1951 and 1952, he conducted at the Bayreuth Festspielhaus. In 1956, he was appointed principal conductor for life of the Berlin Philharmonic as successor to Wilhelm Furtwängler. Upon arriving in New York City for a concert at Carnegie Hall in 1955, Karajan and the Berlin Philharmonic found protests outside from those still seeing the two as being too near the Nazis. Reviews of the concert that night were incredible and quieted most of the protesters. From 1957 to 1964, he was artistic director of the Vienna State Opera. Karajan was closely involved with the Vienna Philharmonic and the Salzburg Festival, where he initiated the Easter Festival, which would remain tied to the Berlin Philharmonic's Music Director after his tenure. On 6 October 1958, he married his third wife, French model Eliette Mouret (de); they became parents of two daughters, Isabel and Arabel. In February, 1983, a bronze bust of Karajan was unveiled in the foyer of the newly built State Theatre in Berlin. Two months later, his first wife, Elmy Karajan-Holgerloef, died of heart failure. A statement from his Salzburg office stated that he was "very shocked, affected, and deeply upset by the news. He had never forgotten her; she had been a part of his life". Karajan did not, however, attend her funeral in Aachen. In his later years, Karajan suffered from heart and back problems, needing surgery on the latter. He increasingly came into conflict with his orchestra for an all-controlling dictatorial style of conducting that had vanished from use everywhere else. Karajan resigned as the Principal Conductor of the Berlin Philharmonic on April 24, 1989. His last concert was Bruckner's 7th Symphony with the Vienna Philharmonic. He died of a heart attack in his home in Anif on 16 July 1989 at the age of 81. Karajan read the works of Father Hugo Enomiya-Lassalle on Zen Buddhism. He became a practitioner of Zen Buddhism. He believed strongly in reincarnation and said that he would like to be reborn as an eagle so he could soar over his beloved Alps. Even so, on 29 June 1985, he conducted Wolfgang Amadeus Mozart's Coronation Mass during a Mass celebrated by St. John Paul II in St. Peter's Basilica, on the Feast of Sts. Peter and Paul, and received Holy Communion from the hand of the Pope with his wife and daughters. By the end of his life he had reconciled with the Catholic Church, and requested a Catholic burial. There is widespread agreement that Karajan had a special gift for extracting beautiful sounds from an orchestra. Two reviews from the Penguin Guide to Compact Discs illustrate the point. Concerning a recording of Wagner's Tristan und Isolde, a canonical Romantic work, the Penguin authors wrote, "Karajan's is a sensual performance of Wagner's masterpiece, caressingly beautiful and with superbly refined playing from the Berlin Philharmonic". The same Penguin Guide nevertheless gives the highest compliments to Karajan's recordings of the two Haydn oratorios, The Creation and The Seasons. Haydn scholar H. C. Robbins Landon, who wrote the notes for Karajan's recordings of Haydn's 12 London symphonies, states that Karajan's recordings are among the finest he knows. Karajan conducted and recorded prolifically, mainly with the Berlin Philharmonic and the Vienna Philharmonic. Although he conducted other orchestras (including the NHK Symphony Orchestra, the New York Philharmonic, the Concertgebouw Orchestra, the Orchestre de Paris and the Orchestra of La Scala, Milan) the vast majority of his recordings were made with the Berlin and Vienna orchestras with which he was most associated. He also left a considerable legacy of recordings with the Philharmonia Orchestra, his last performance being in 1960. Although he made recordings with several labels, notably EMI, it is Deutsche Grammophon with which he became most associated. He made 330 recordings with the label during his career. During Karajan's lifetime, the public often associated him with the works of Beethoven. Karajan recorded four complete Beethoven symphony cycles, first with the Philharmonia Orchestra for Angel in 1951 to 1955, and then three times with the Berlin Philharmonic Orchestra for Deutsche Grammophon in 1961/62, 1975/76, and from 1982 to 1984. Among 20th-century musical works, Karajan had a strong preference for conducting and recording works from the first half of the century, by such composers as Mahler, Schoenberg, Berg, Webern, Bartók, Sibelius, Richard Strauss, Puccini, Honegger, Prokofiev, Debussy, Ravel, Hindemith, Nielsen and Stravinsky. Indeed, his performances of works written post-1950 were rare. A notable exception was Shostakovich's Tenth Symphony, written in 1953, which he performed many times and recorded twice. He and Shostakovich met during a tour with the Berlin Philharmonic culminating in Moscow in May 1969 and Karajan had stated in an interview with the German TV-channel ZDF in 1983 that if he had been a composer instead of conductor, his music would have sounded similar to Shostakovich's. Despite those sentiments, Karajan's Shostakovich performances and recordings were restricted to the Tenth Symphony only. Karajan conducted the Berlin Philharmonic in Hans Werner Henze's Sonata per Archi (1958) and Antifone (1960), the only Henze works he ever performed. In 1960 he performed Ildebrando Pizzetti's opera Assassinio nella cattedrale written two years before. Karajan premieres were also rare: he premiered Carl Orff's De temporum fine comoedia in 1973 with the Cologne Radio Symphony Orchestra. The New York Times writer John Rockwell wrote in 1989: "He had a particular gift for Wagner and above all for [Anton] Bruckner, whose music he conducted with sovereign command and elevated feeling." Karajan was the recipient of multiple honours and awards. He became a Grand Officer of the Order of Merit of the Italian Republic on 17 May 1960 and in 1961, he received the Austrian Medal for Science and Art. He also received the Grand Merit Cross (Grosses Bundesverdienstkreuz) of the Order of Merit of the Federal Republic of Germany. In 1977 he was awarded the Ernst von Siemens Music Prize. On 21 June 1978 he received the honorary degree of Doctor of Music from Oxford University. He was honored with Médaille de Vermeil from the Académie française in Paris, the Gold Medal of the Royal Philharmonic Society in London, the Olympia Award of the Onassis Foundation and the UNESCO International Music Prize. 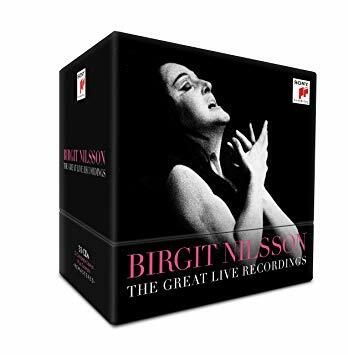 He received two Gramophone Awards for recordings of Mahler's Ninth Symphony and the complete Parsifal recordings in 1981. He received the Eduard Rhein Ring of Honor from the German Eduard Rhein Foundation in 1984. In 2002, the Herbert von Karajan Music Prize was founded in his honour; in 2003 Anne-Sophie Mutter, who had made her debut with Karajan in 1977, became the first recipient of this award. He was voted into the inaugural Gramophone Hall of Fame in 2012. He has received the Picasso Medal from UNESCO. In 1997 the "Herbert von Karajan Whitsun Festival" was inaugurated at the Festspielhaus Baden-Baden. Since 2003, the Festspielhaus has awarded the annual "Herbert von Karajan Music Prize" in recognition of excellence in musical achievements. Karajan was an honorary citizen of Salzburg (1968), Berlin (1973), and Vienna (1978). His legacy is managed since 2005 by the Eliette and Herbert von Karajan Institute.